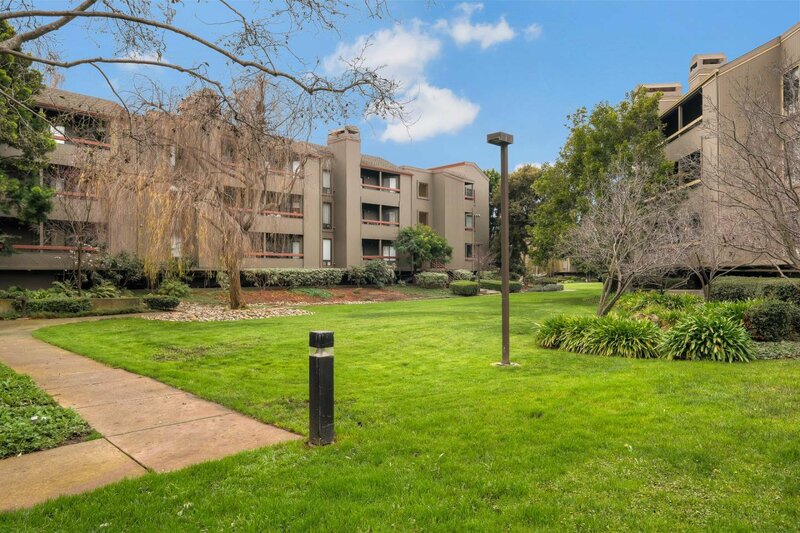 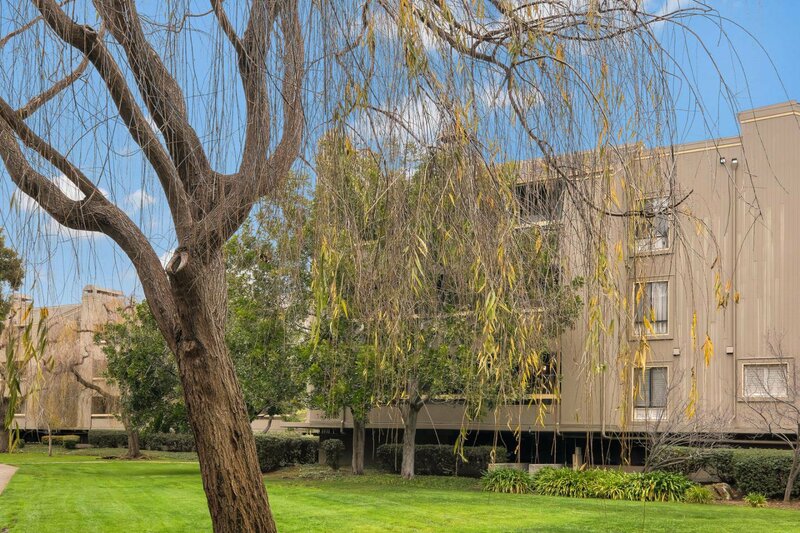 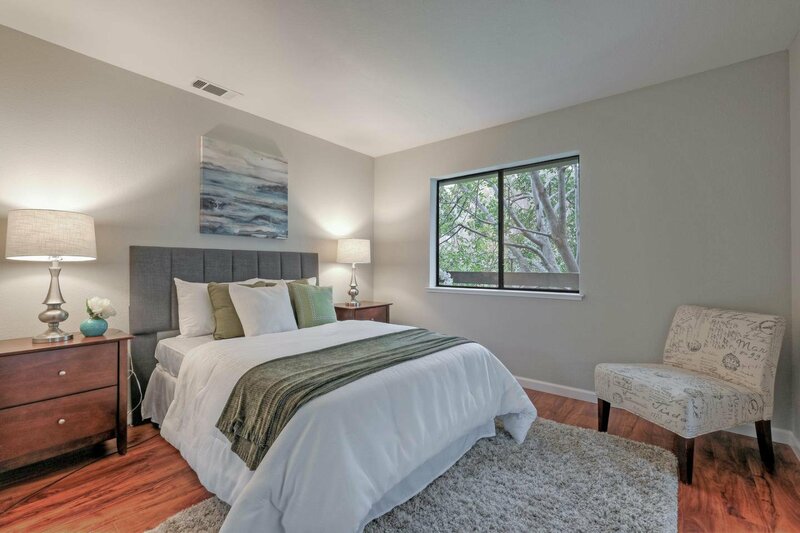 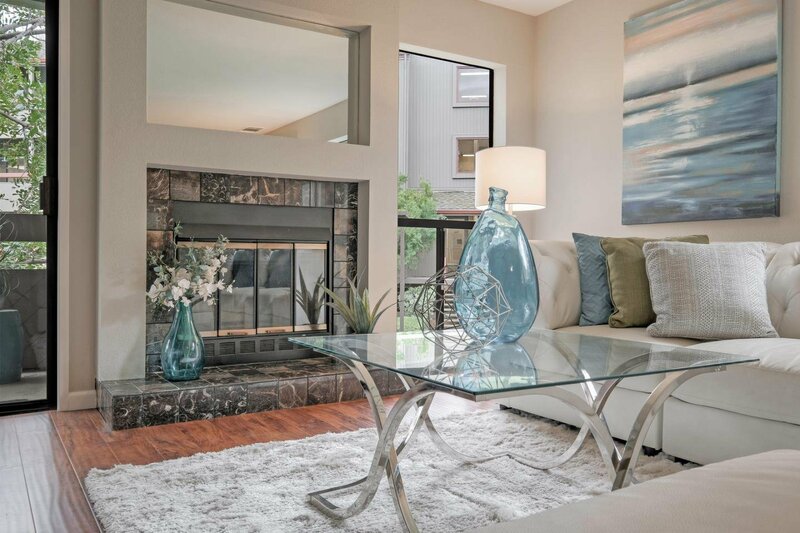 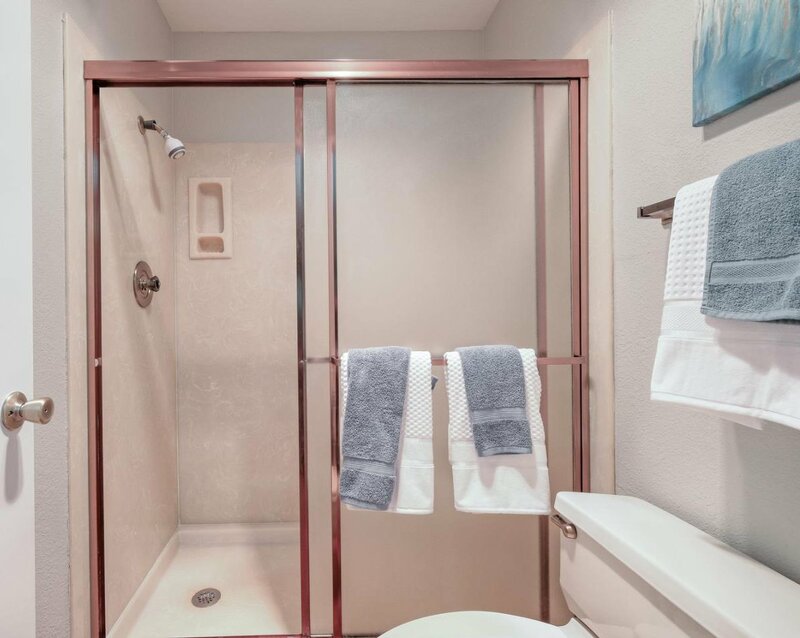 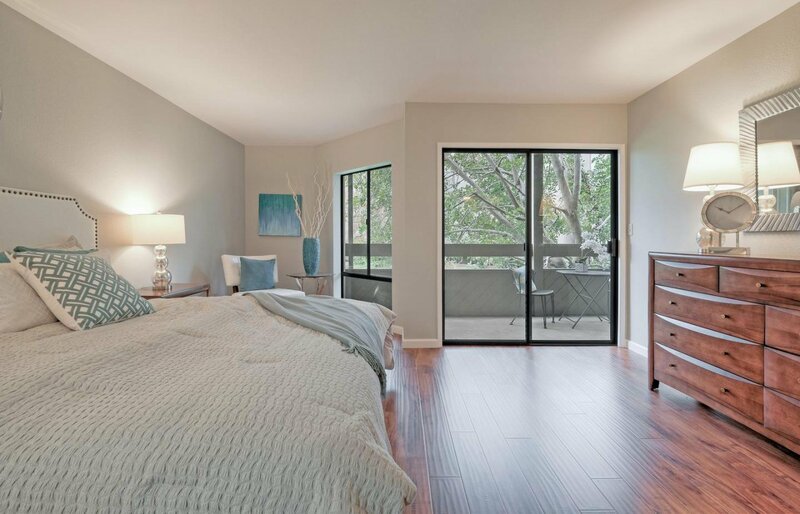 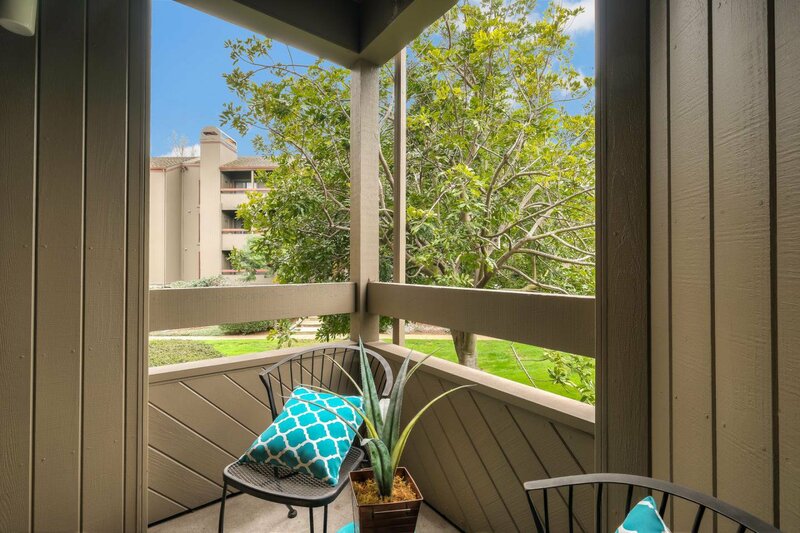 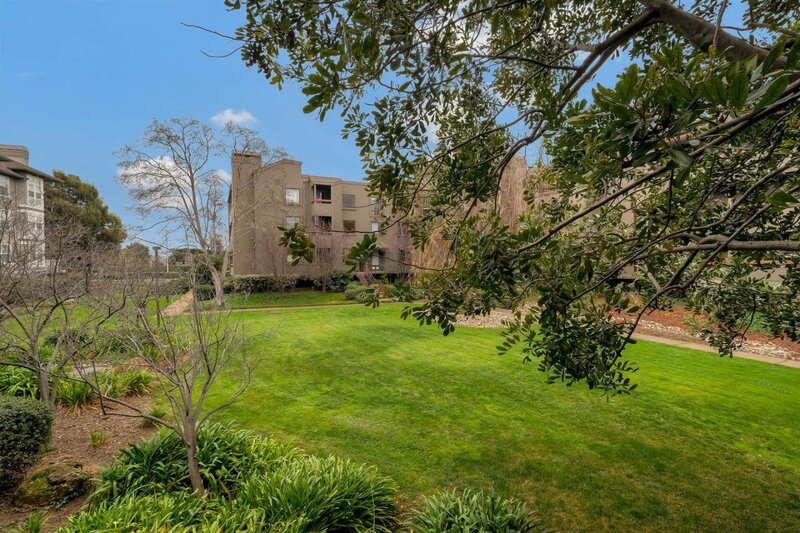 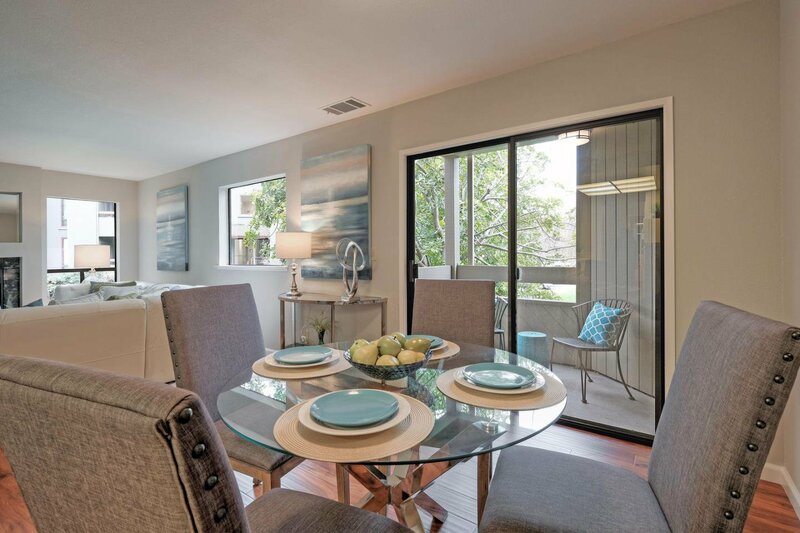 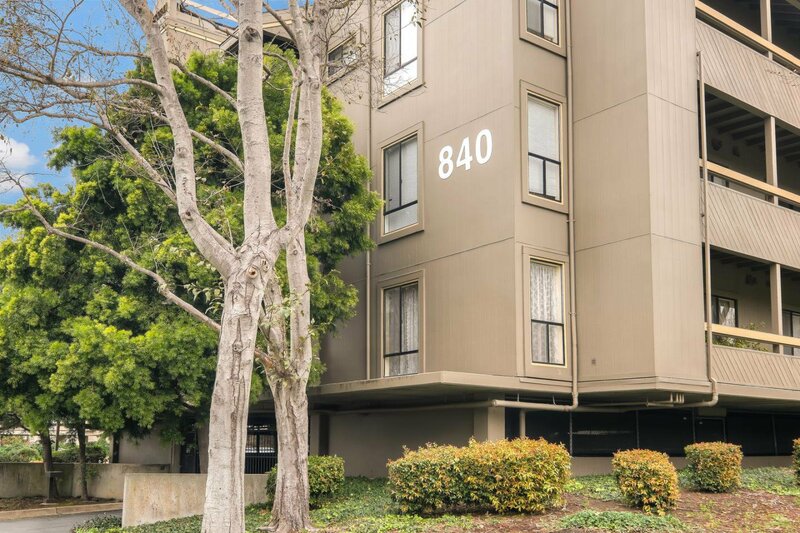 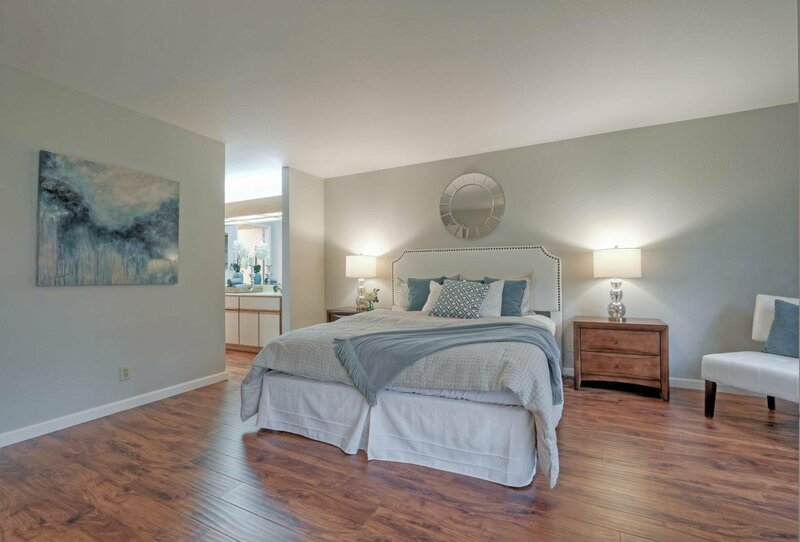 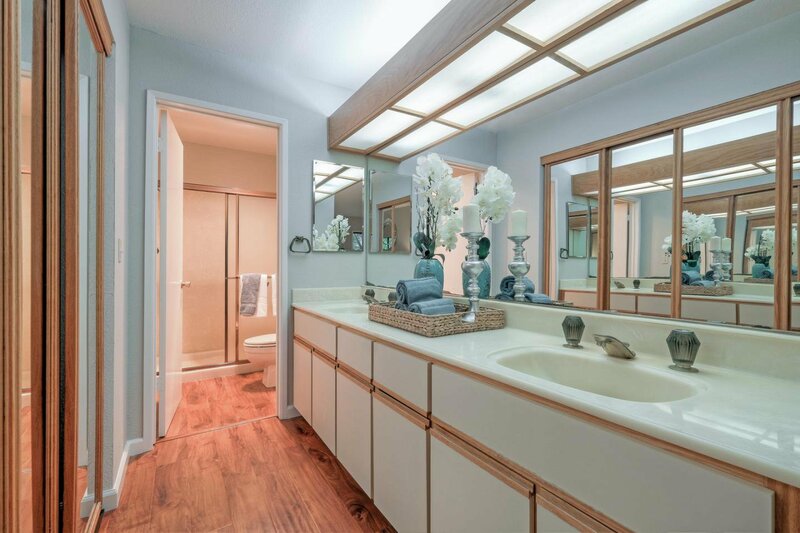 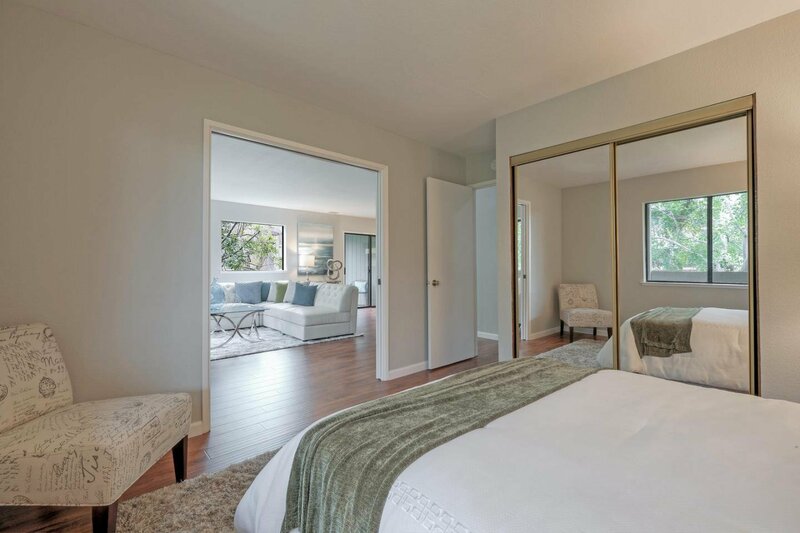 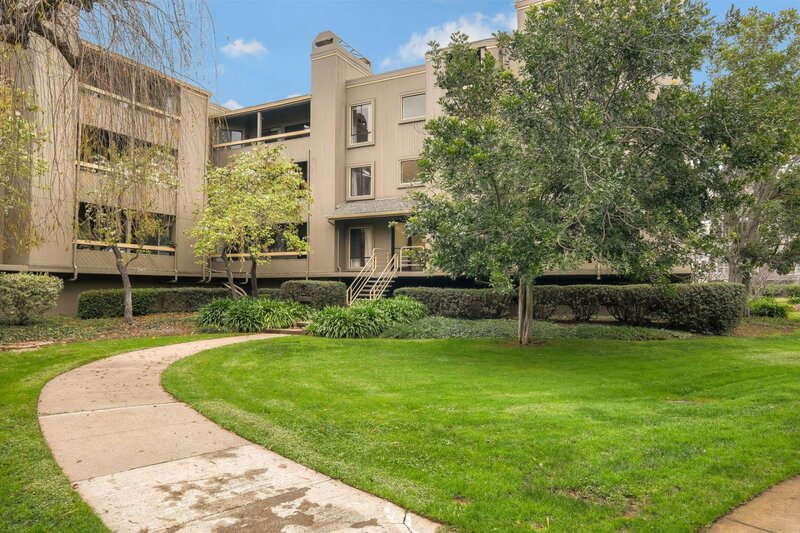 This fabulous location in Foster City is an easy walk to Leo Ryan Park and the shopping center. 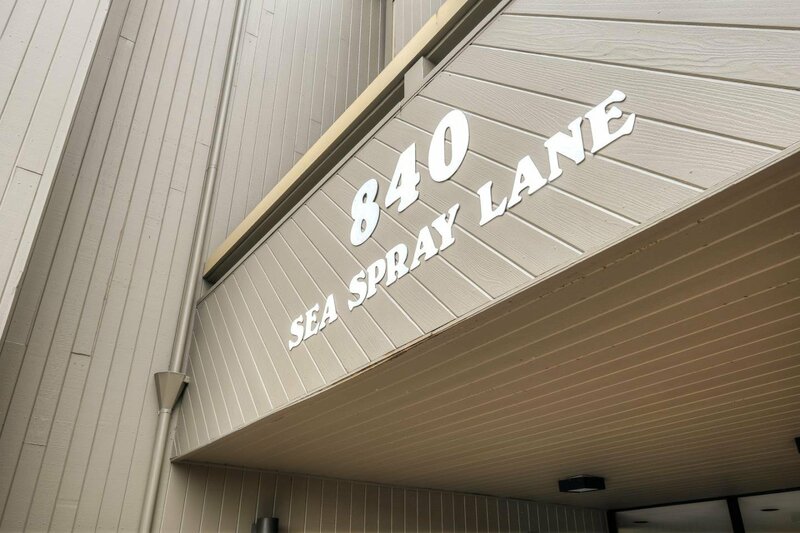 Spinnaker Cove is a popular complex that boasts a secure entrance, swimming pools, spas, tennis courts and lagoon walking trails. 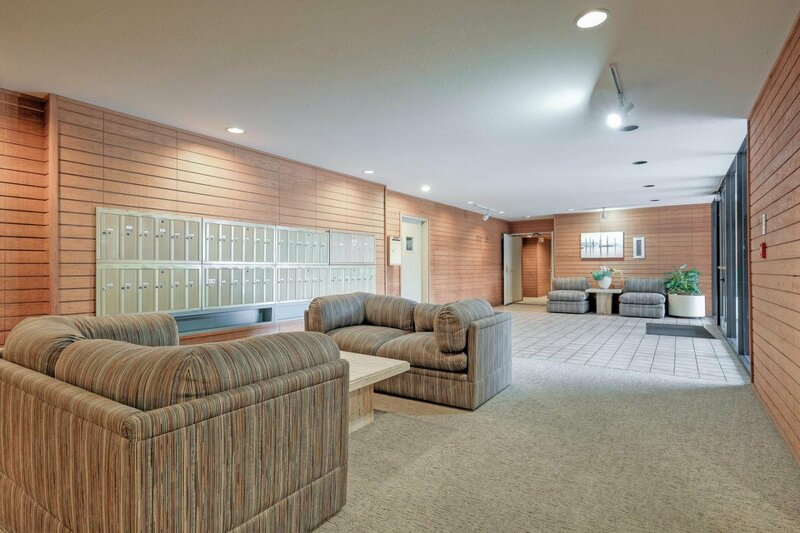 There is no need to pay for a gym membership with all that is offered here. 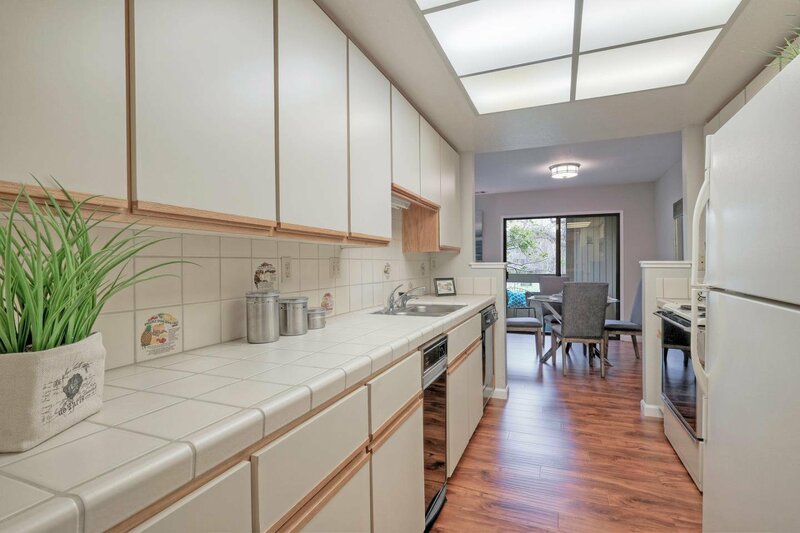 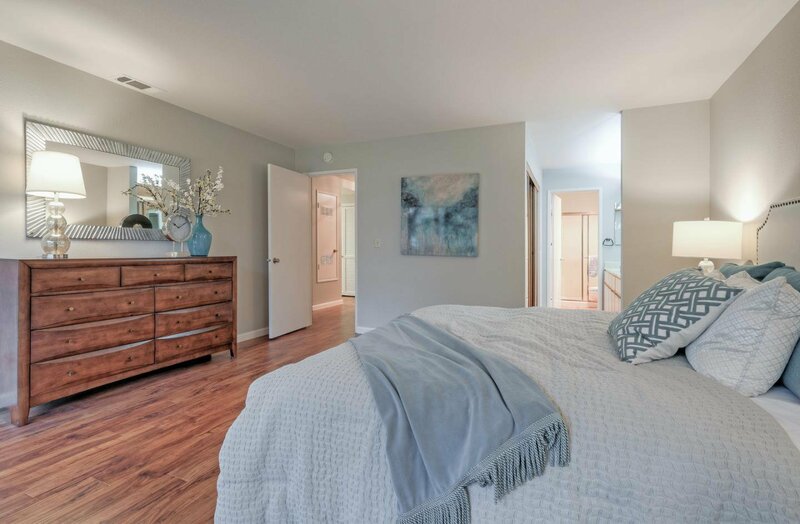 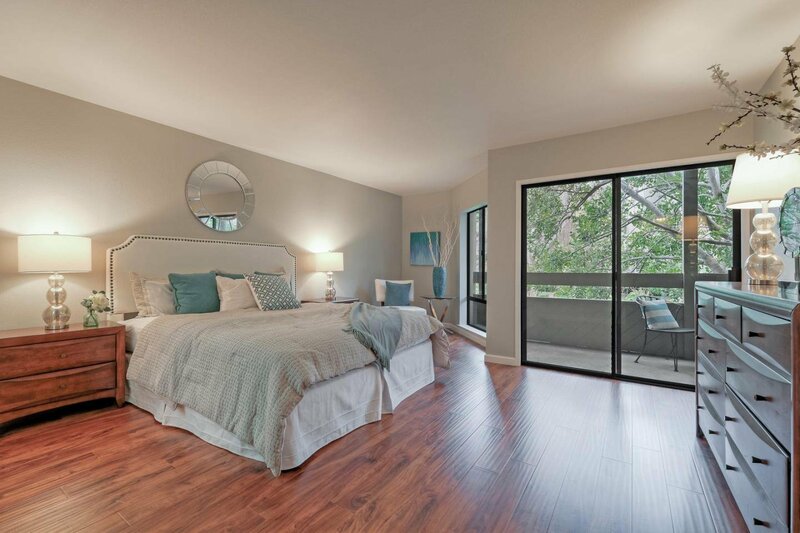 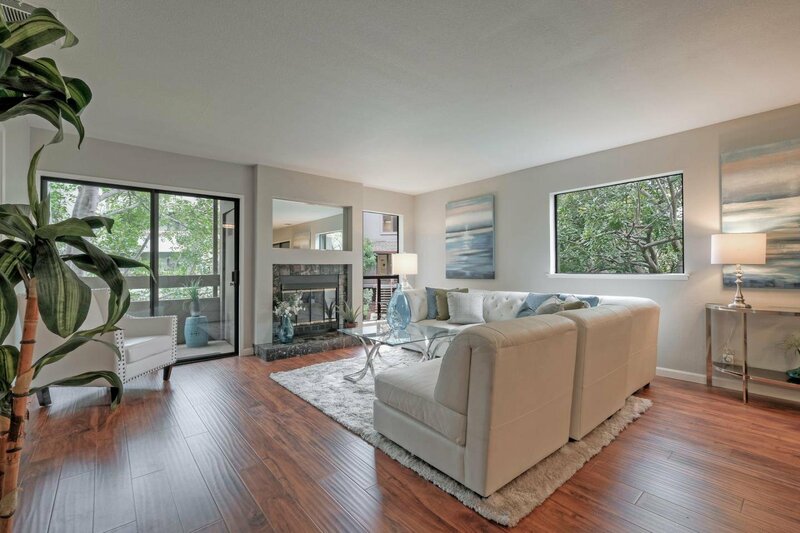 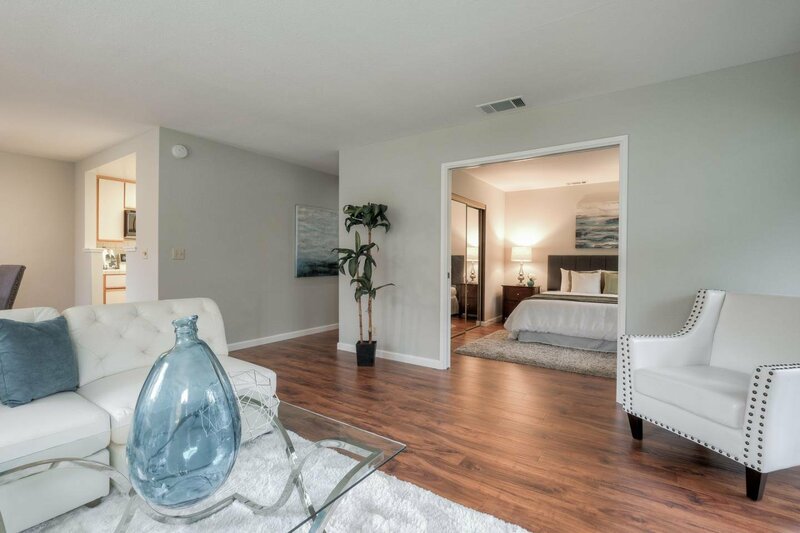 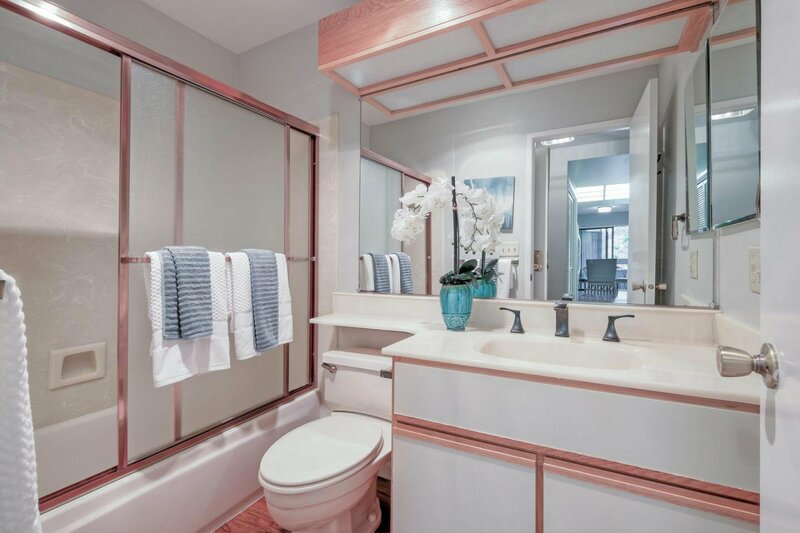 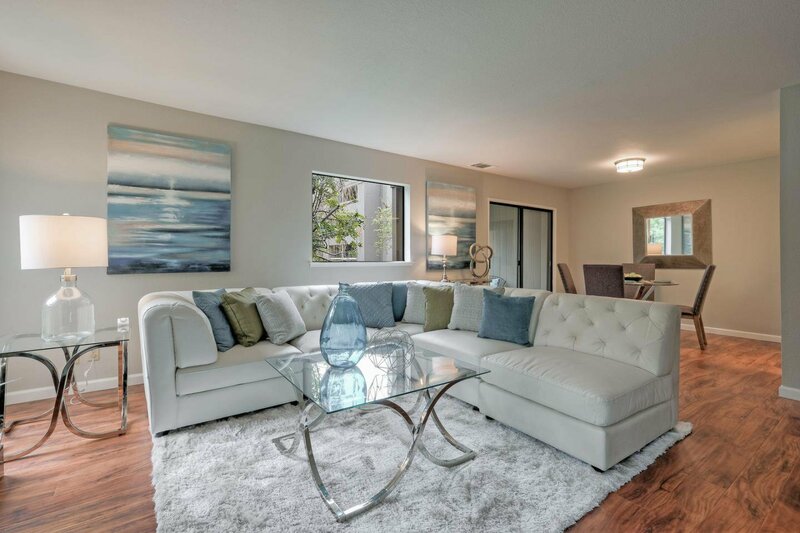 The spacious, ground-floor condo features a formal entryway, a cheerful kitchen, an oversized master suite and a second bedroom that could also serve as additional living space or an office. 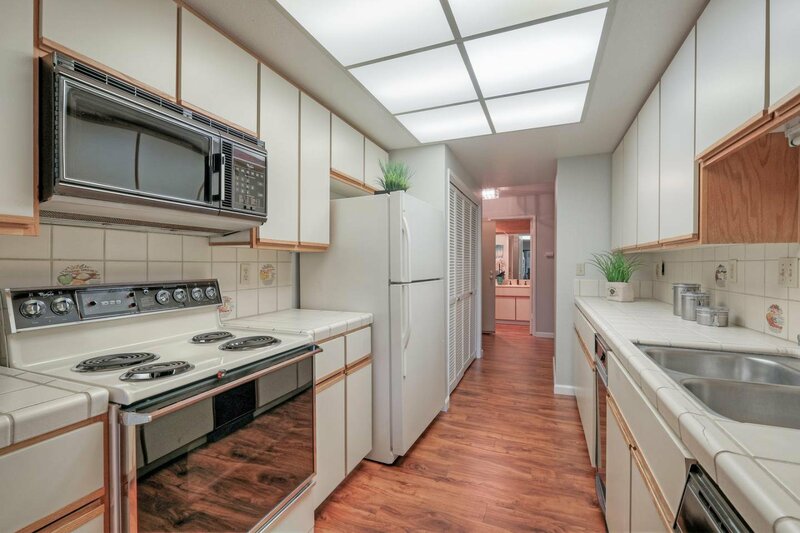 The unit shows well with fresh paint and newer floors. 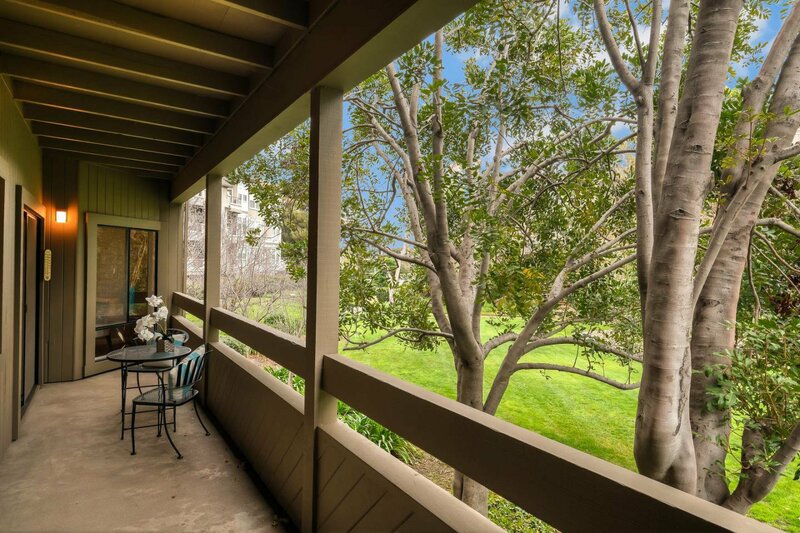 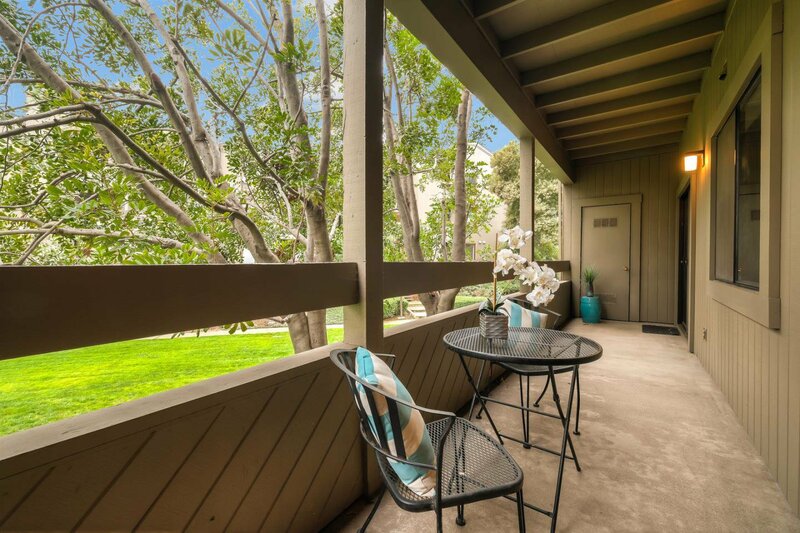 Two private decks are perfect for entertaining or enjoying the garden views. 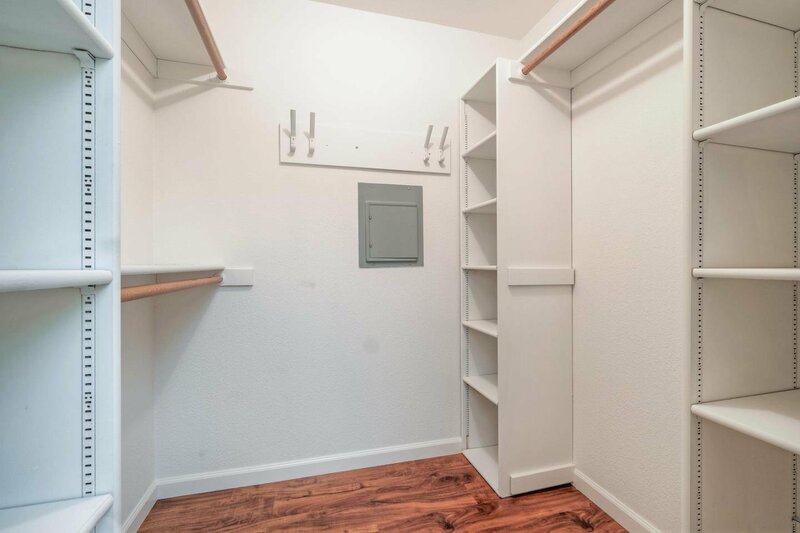 Laundry and ample storage space are inside the unit. 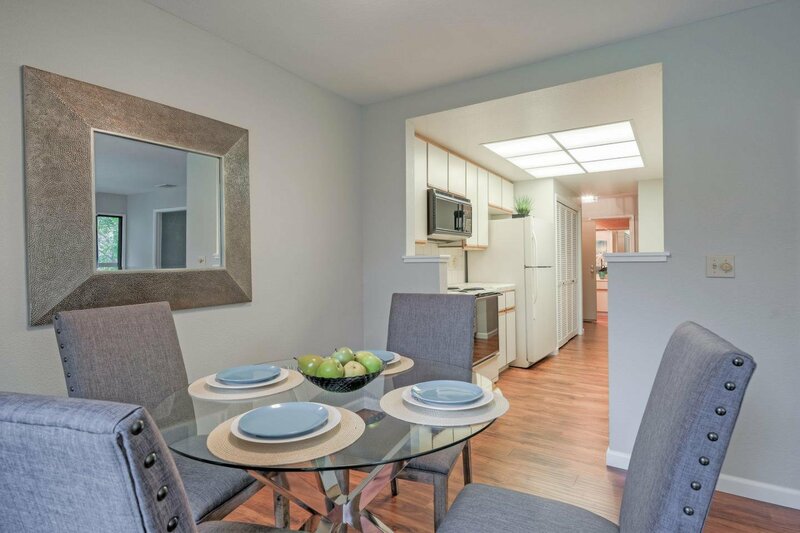 This unit is perfect for seniors or first-time home buyers. 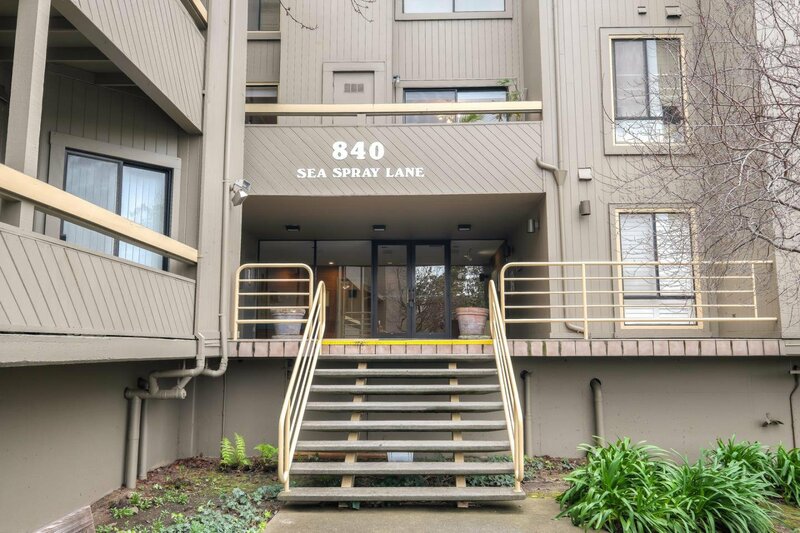 Spinnaker Cove is in a convenient commute location with easy access to Highways 92 and 101.